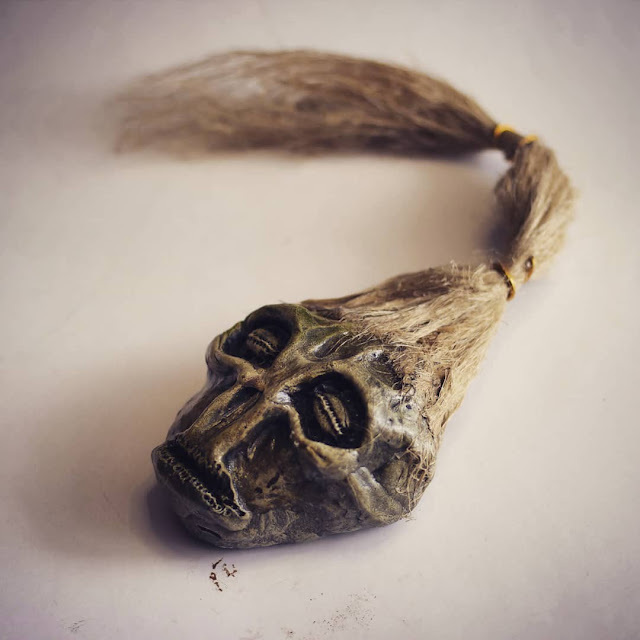 This creepy little shrunken head gaff comes to use from the gifted Andrea Falaschi. 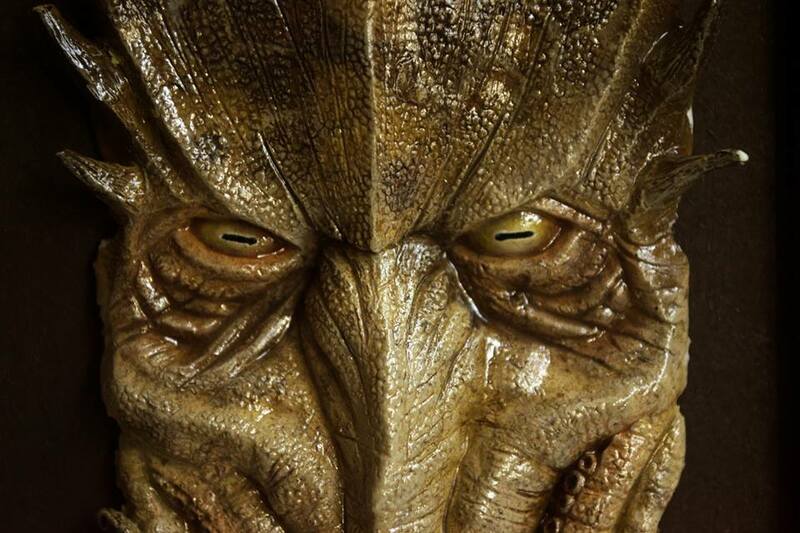 The talented Karen Main returns to our pages with this cyclopean...thing. The paint job is just awesome. Well, faux steel in this case. 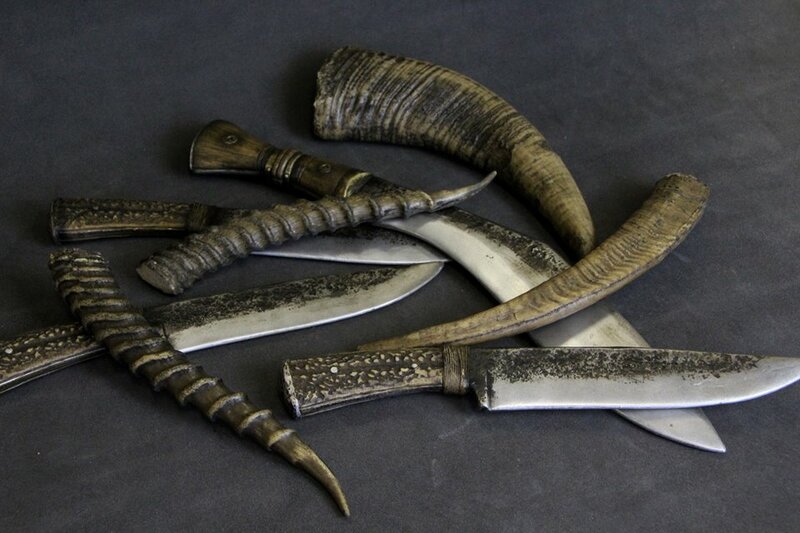 This collection of LARP safe foam knives and horns comes to us from Sander Propworx. I'm continually amazed at how realistic his props are. The gifted Jason McKittrick returns to our pages with this cool Idol of Dagon. One of the unfortunate side effects of giving resources away is discovering your work is being sold for profit. 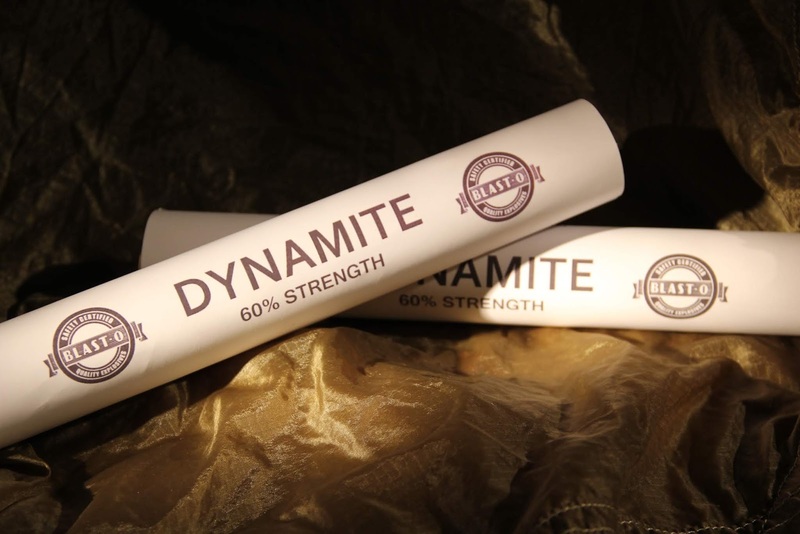 Such is the case with this "Dynamite Prop" from Shadowcast Studios. You could save a chunk of change by just printing out my Blast-O brand prop dynamite label and wrapping it around a dowel- just like Shadowcast Studios did. Sadly, they're violating the Creative Commons Non-Commercial License I use for everything here at Propnomicon. I want folks to use my stuff. Just don't monetize it without asking permission. 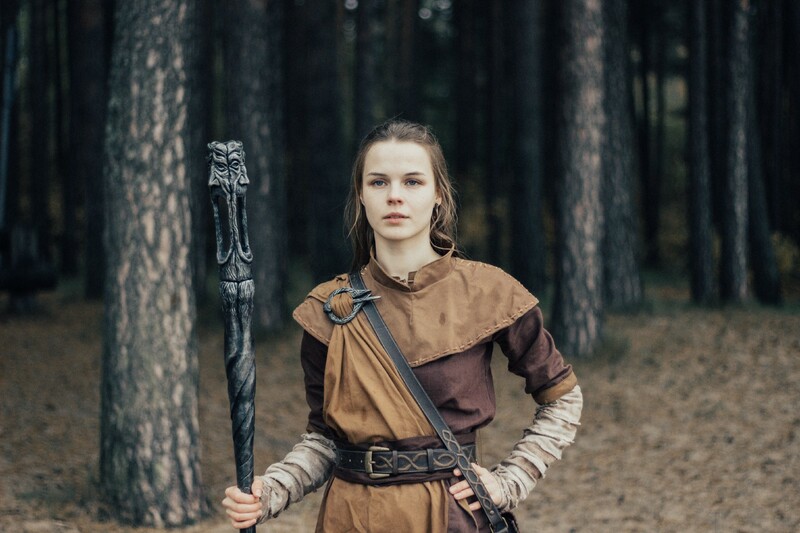 UPDATE: Shadowcast has pulled the offending listing after a torrent of negative comments. You guys are great. 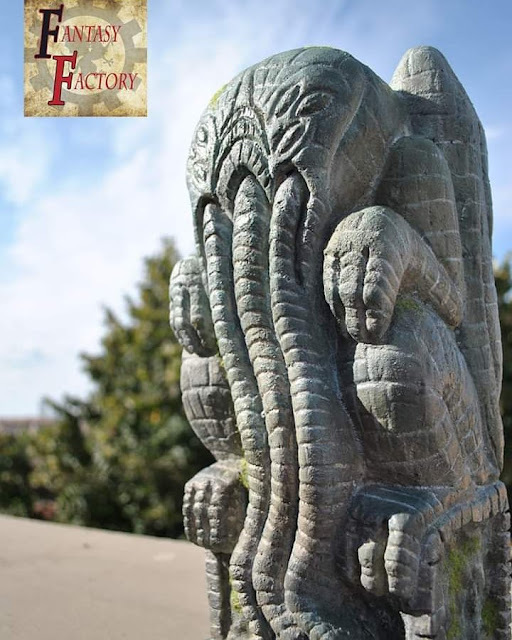 This primitive Cthulhu icon comes to us from CaaPora Creature Shop. The iridescent black and purple finish is pretty cool. 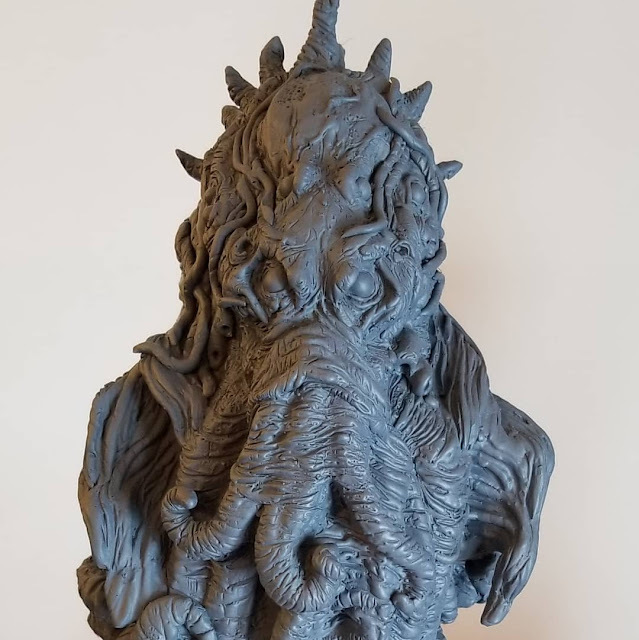 Daniel Gelon from Studio Wondercabinet was kind enough to send over this amazing Cthulhu idol from sculptor Oyama Ryu. 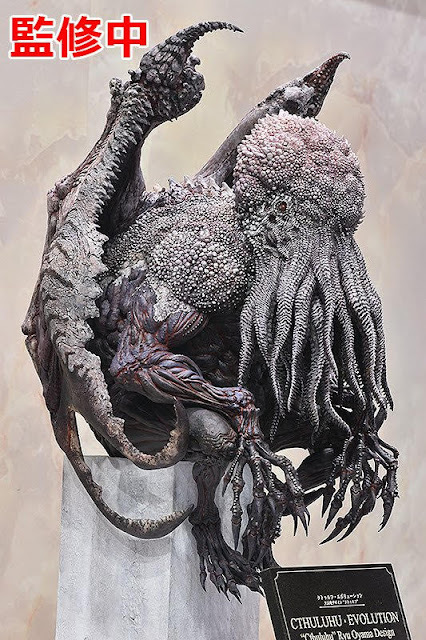 It was featured at the Japanese Cthulhu Evolution and Wonderfest shows. 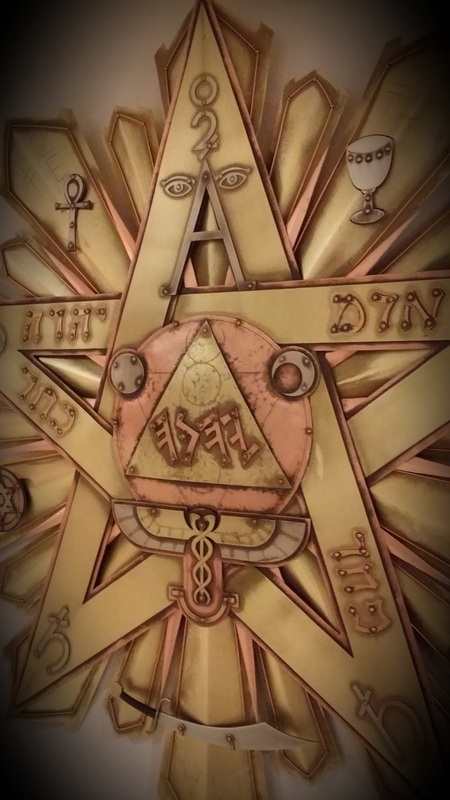 The talented James Ewing returns to our pages with this amazing depiction of the mystical Tetragrammaton, based on the emblazoned pentagram figure created by 19th century magician Eliphas Levi. The massive piece was crafted from copper, brass, and nickel silver. 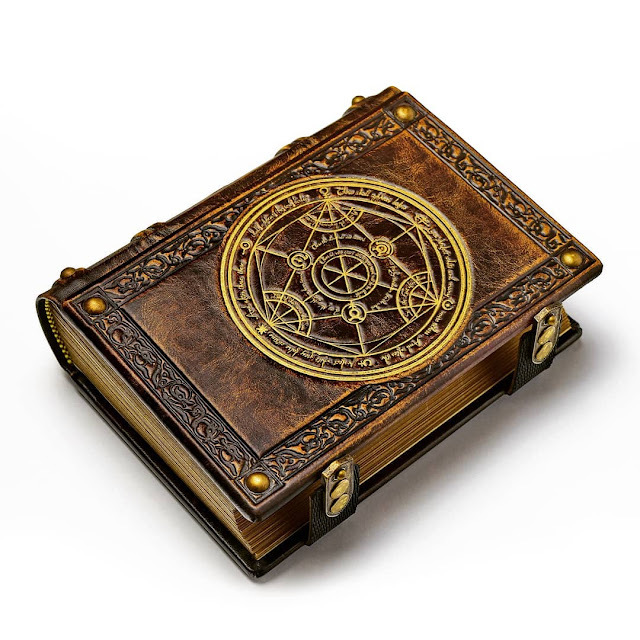 The gifted Alex Libris returns to our pages with this beautifully crafted alchemy tome. 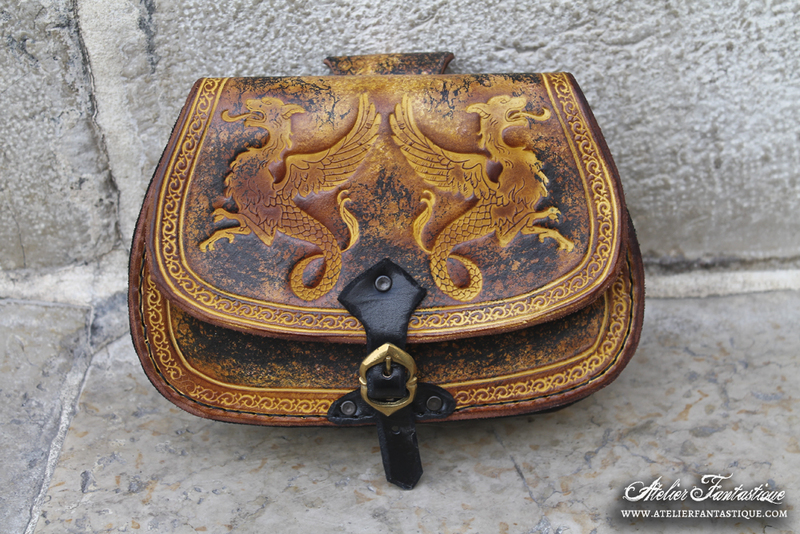 Hand tooled leather with custom gilding and brass hardware. Beware of gifts from Daedric Princes. 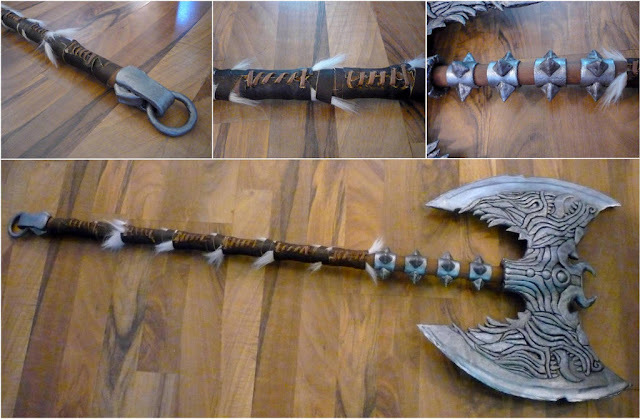 Cloudstrife597 brings us her take on the Rueful Axe from Skyrim. Ah, love is in the air. 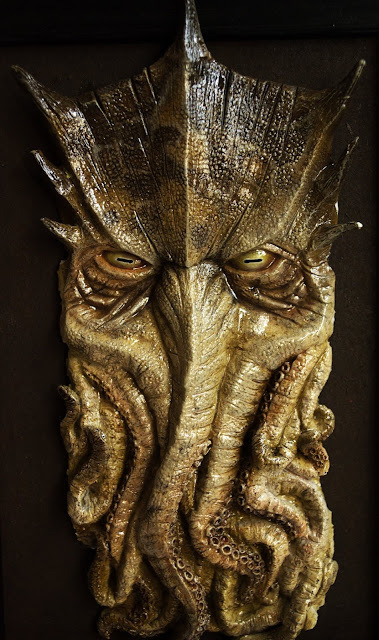 Even in Innsmouth. 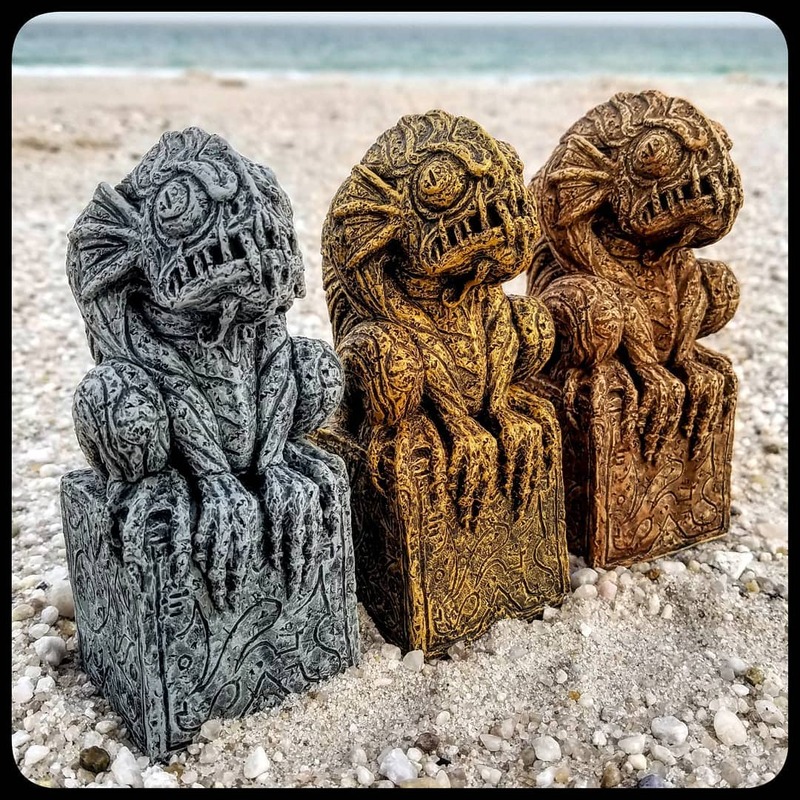 Arend Smith of Raven Dark Creations demonstrates that #loveislove, even when you're a Deep One hybrid. 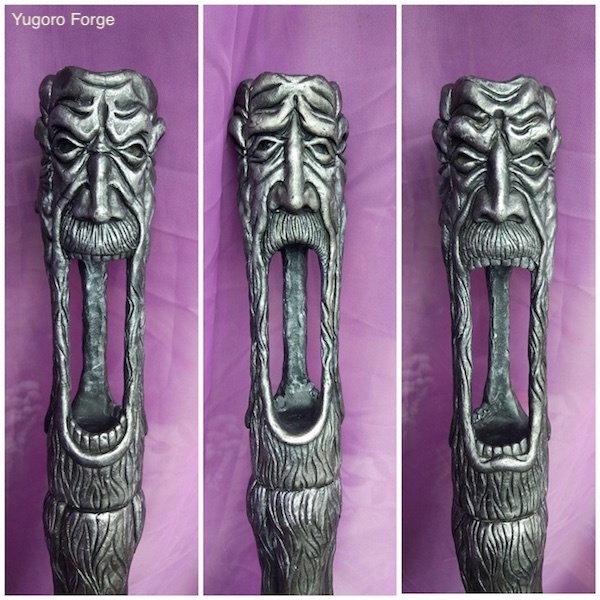 Yugoro crafted this excellent recreation of the Wabbajack staff from the Elder Scrolls video game series. It features a detailed sculpt of the tripartite head, breaks down into multiple pieces for transport, and includes LED lighting effects. If you want to see how it was done check out the detailed build log on Medium. This nicely done Cthulhu sculpt comes to us from artist Alan Leiros. The paint job is particularly well done. Ross MacDonald is widely regarded as the best paper prop artist in Hollywood. His work has been featured in dozens of films, including iconic pieces like the Book of Secrets from "National Treasure". 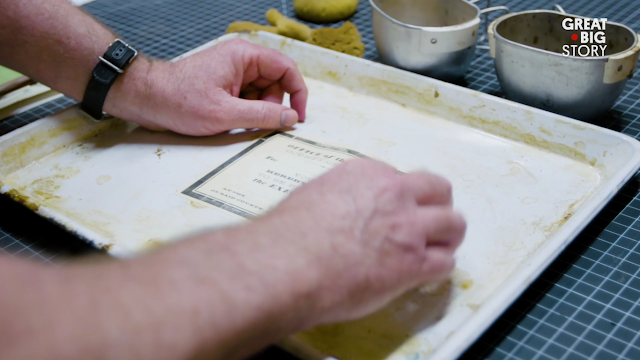 Great Big Story has an informative video taking a look at his career that includes some great behind the scenes glimpses of Mr. MacDonald at work. 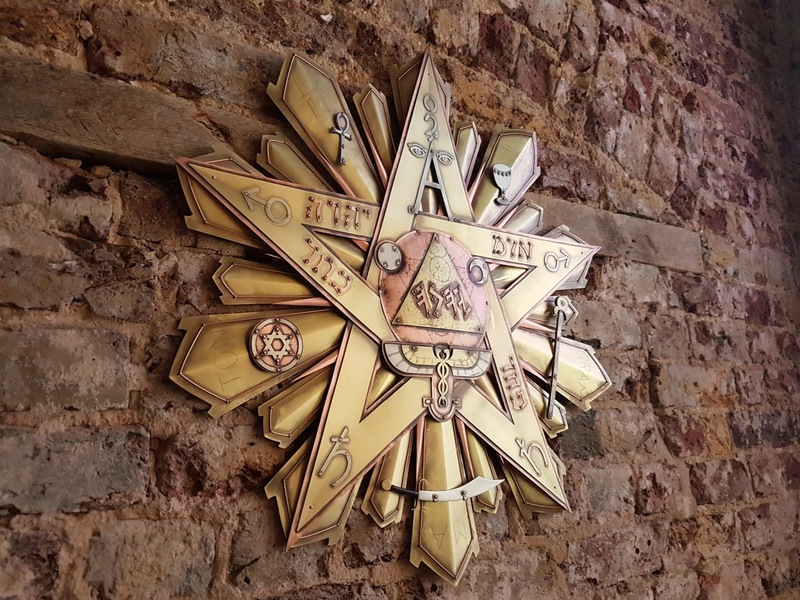 Via Eric Hart's Prop Agenda. This nifty 3D printed dragon skull comes to us from modeler Sami Mattila, who created the original digital sculpt. Note the lack of the striations that so often ruin 3D props. 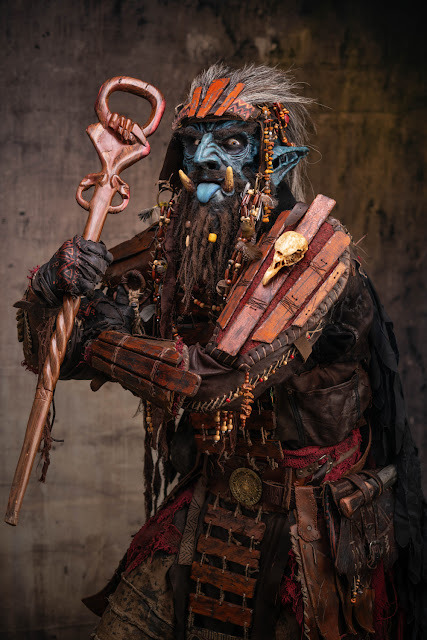 This fantastic troll costume comes to us from Seggos Artworks. 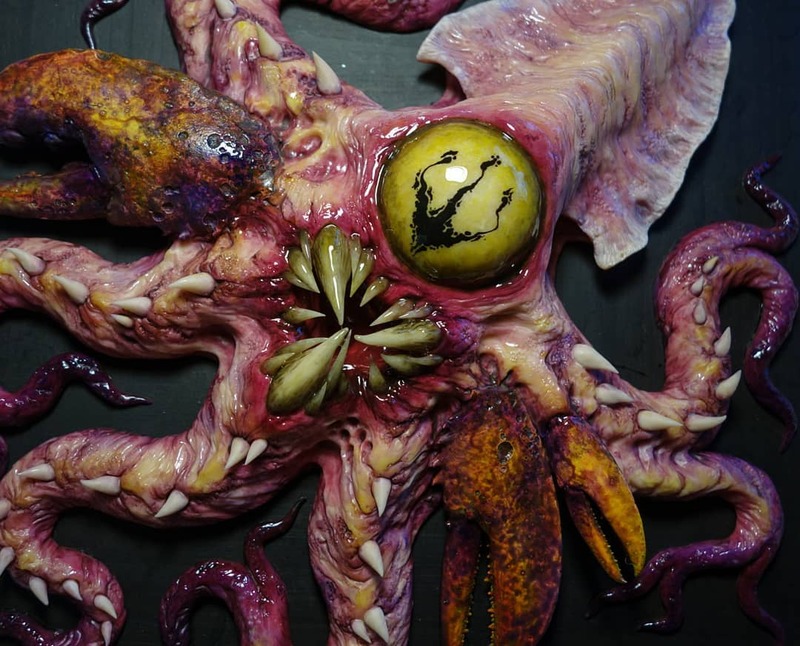 You have to admire the insane level of detail, right down to having tongue makeup. 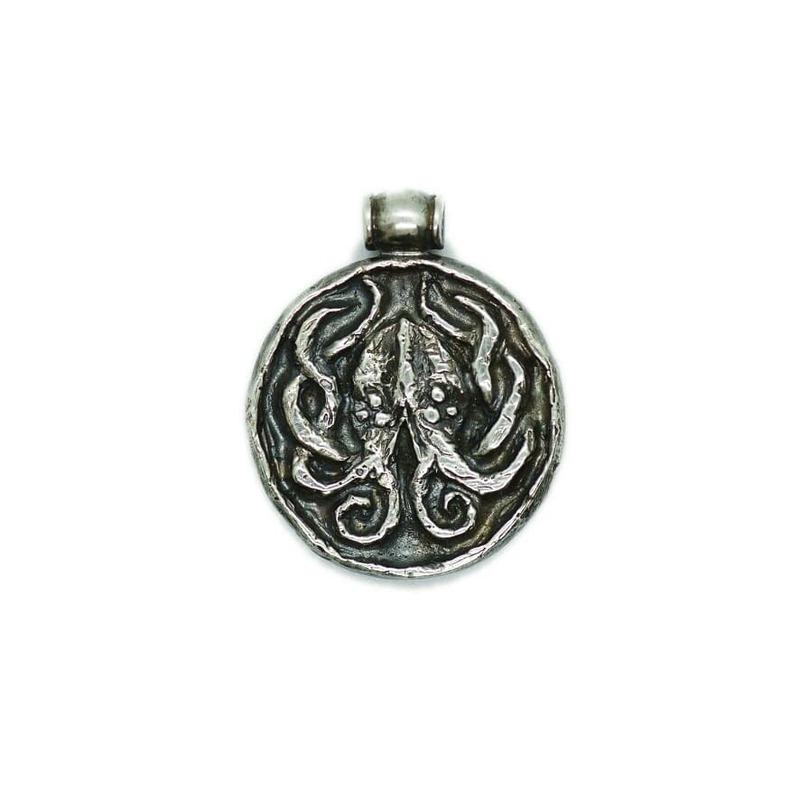 Russian artist Anarr brings us this primitive Cthulhu medallion cast in metal.